Happy New Year and welcome to 2016, it’s time for the first DLC of the month and it’s four hit singles from the 1970s, 1980s, 1990s, and yes the 2000s, it’s Hit Singles III! Representing the 1970’s is Wild Cherry’s Play That Funky Music! The lead track doesn’t feature any sort of chord progression so you’ll have to access rhythm to get that funk down. Cool to see a track from Guitar Hero 5 end up in RS. As for the 1980s it’s a blast from the past straight from Guitar Hero Encore: Rocks The 80’s, Asia’s Heat of The Moment! The solo may surprise you.. The 1990’s contains a very anticipated track for me personally. 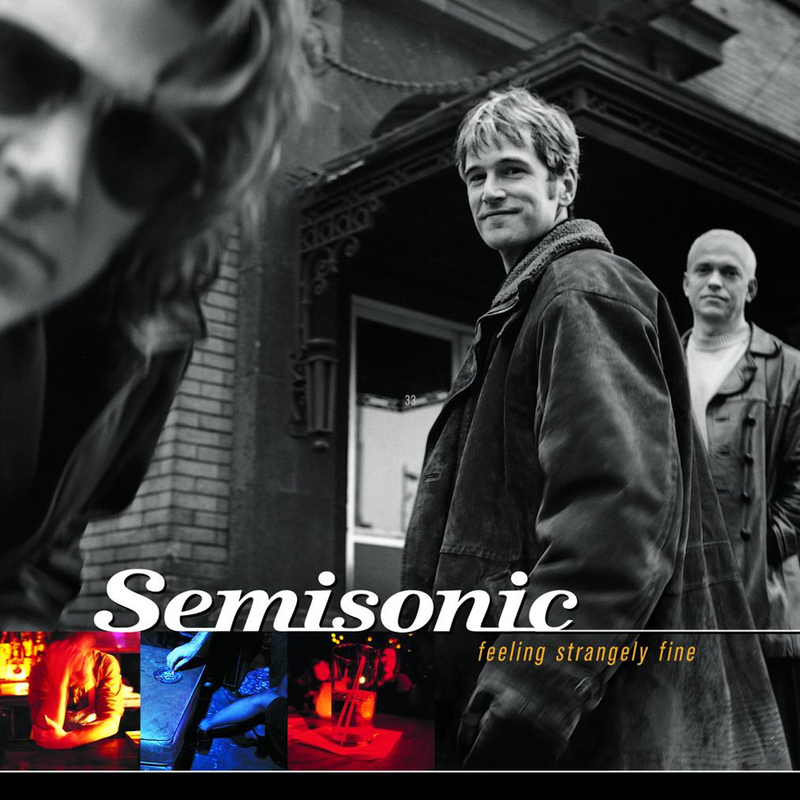 It’s the song that means they want you out of the bar, Semisonic’s Closing Time. Finally to wrap up the 2000’s and compliment the addition of Joker and the Thief it’s Wolfmother’s Woman, complete with a charted organ solo. That’s some GH: Smash Hits stuff right there! Guess what? All songs are in E Standard! Is this the best Hit Singles pack yet? Or is this more of a miss for you? Let us know! psst… Don’t forget to vote in the Rocksmith DLC Battle 2015! Sorry to go off topic. I just wanted to re-post this comment that I saw from DanAmrich on the Ubisoft forum. Thought this was really cool. Any chance of getting a Scorpions,Styper or more Disturbed Dlc’s packages for Rocksmith 2014 and will rocksmith add Music videos onto rocksmith 2016? Guess you are expecting a different answer to the same question you ask every week in 2016 huh? Wolfmother rocks! I love the retro vibe but can see why some people might be turned off by the guitar effects. I wish we wold get a 3 pack now with “pilgrim”, “sundial” and “white unicorn”. “New moon rising” is fun too. Actually “joker and the thief” and “woman” are in the middle of the pack for me as far as how much I like them however I do enjoy playing them more than I do listening to them. I love Wolfmother, but I like Cosmic Egg better than their first album. I can see the similarities between Woman and Joker and Thief and would like to see more variety. Hopefully, Asia is the beginning of Progressie Rock in rocksmith. Yes, King Crimmson, Dream Theater, Peter Gabriel-era Genesis, The Mars Volta and if Nick Mason is nice enough, Pink Floyd (but it probably won`t happen). Asia -- interesting and will buy. Gotta love 80s fun! Play that funky music?? Bad wedding soundtrack. Really, really bad choice. ok, gave the pack a twice over. On the “accessible” (read easier) side but really fun. Excellent idea to chart the piano on closing time, makes it much more enjoyable. I would have rather had the songs on schedule, but its pretty cool how steam gives you an in game update letting you know the songs have downloaded. YES! Soul Asylum! Homesick for the home I never had. Anything Soul Asylum!!! Got problems on Steam. We can purchase the pack but it doesn’t download so you don’t have access in your library. Hope Steam/Ubisoft know this problem and they’ll fix it quickly. Asia and semisonic are okay … The other 2 should be thrown in a fire..wolfmother?….same sound every song! Yeah, I’m not a Wolfmother fan. They’re really good at what they do. But to me their songs sound like the essence of late 60’s/early 70’s rock made generic and 2 dimensional. They remind me of records stuck in a groove and those little guitar mag lesson columns with the tiny exampels that don’t really teach much. OMG Woman has Key parts in guitar, Awesome!!!! I’d be happy to never see another wolfmother song in this game. A hits rock pack would be pretty nice for a change. As of 10:30am, pack is on X-Box 360 but absent free from X-Box One. Way too early to be worrying about the pack being missing. Good setlist but a hope Mothey crue pack 2!!! I wouldn’t count on a second Crue pack for at least another year, and possibly never, since they already got 5 songs. I guess, from this totally unrelated example, the Motley Crue 5-Pack II will be released in Nov 2016 for Rocksmith 2017. What time of day exactly, will this DLC hit the Playstation Store? I’ll get the Wolfmother track, and play that funky music, the song by Asia is good but not for me, and ‘closing time’ sounds like a nursery rhyme, I can’t understand how it became a hit anywhere. But yeah, 2 I like, I’m happy. There’s nothing wrong with the pack, but none of these songs are really my style. I think I’ll pass. Whoo, very nice way to start the year. I was expecting better. Asia is good but the rest is meh for my taste. Would have liked woman by the James Gang instead but I understand it wasn’t a hit, it was just better. Heat of the moment and a charted organ solo…That’s how you start the year!! In for “Heat of the Moment” for sure! Steve Howe is a really great guitarist; gonna go request some Yes now! “Closing Time” is pretty basic. I would rather have more Everclear (like “Santa Monica”) or Live (anything). I feel like the 90s had more representative material in singles form than this, even though I love Semisonic and this song. Gin Blossoms, Soul Asylum, Sonic Youth, etc. And yes, I request these songs. Not just here to whine 😛 More or less hoping to rally others to request these, too! upon some reflection I have to agree. Closing time is pretty basic, but since I would like to have the other three, Ill just get the pack and consider it a discounted bonus. I too would love to see and have requested more everclear. Your right, everclear is much more representative of the 90’s, and was a welcome break from the downer grunge scene at the time. Closing time was everywhere, but was more at the tail end of the 90s. Most of the pack is on the easy side, but are easily recognized riffs for showing off. I shall pass. Don’t tell Gandalf. Can’t stand closing time, cheers to those that enjoy that song. I was in college when it came out, and all I can remember is bartenders singing along rudely as they shoved patrons out the door. Happy day, i’m in for the whole pack. Each song is representative of its decade. They might seem a little corny these days, but should all be fun to play, and that’s why I’m here.